Bugatti Veyron Pur Sang only produces five manufactured models worldwide. The vehicle is known for its signature diamond-cut finish with high-gloss bronze. The vehicle has a finish that resembles glass and can reach 250 miles per hour. This vehicle was introduced in 2007 in Frankfurt. If you want to be one of the five owners of this vehicle, you should expect to pay USD $3.8 million. The Veyron is one of the fastest street-legal cars worldwide. The vehicle can reach 267 miles per hour or 432 kilometers per hour. From 2000 to 2009, the vehicle was voted the car of the decade, and in 2005, the vehicle was voted Top Gear’s Best Car Driven All Year Award. Consider the top five cars for the ultimate in luxury. Enzo Ferrari is one of the most luxurious sports cars produced in this decade and was introduced in 2002 at the Paris Auto Show. The vehicle features a V12 engine and can reach speeds as high as 186 miles per hour. If you own an Enzo Ferrari, you will be one of 349. Since the vehicle is one of the most desirable vehicles made in this decade, it is expensive. The vehicle is priced at 408,342 GBP. The vehicle is lightweight and has incredible horsepower. Ferrari is made of carbonfibre to keep the vehicle light in weight. It has an aerodynamic design and can reach high speeds due to this sleek design. 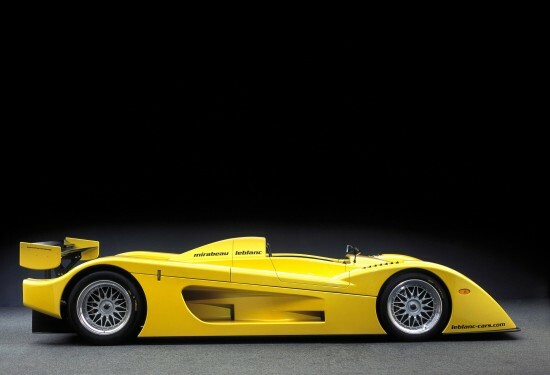 The car is often compared to a Formula 1 car designed for the road. Lamborghini Reventon has a design reminiscent of the world’s fastest plane. When the vehicle was first introduced, it was debuted at the Frankfurt Road Show in 2007. Lamborghini Reventon is so rare that only 20 are introduced around the world. The vehicle can reach a speed over 220 miles per hour. The vehicles are featured at $1.5 million dollars or 928,500 GBP (http://www.qeemat.com/the-best-luxury-cars-2013/). Leblanc Mirabeau is a Swiss-made car that can reach speeds of 230 miles per hour. The vehicle is high-performance and has a 700 horsepower engine. Guinness Book of World Records named Shelby as the fastest car in the world. The vehicle reaches speeds of 256 miles per hour and is priced at USD $650,000. These top five cars for luxury are true gems. These cars are incredible in terms of designs and sheer power. If you want a true masterpiece in terms of a vehicle, any of these five vehicles are recommended. Consider these vehicles as the ultimate in luxury. Alex is a motor enthusiast. He has recently listed a few of his used BMW for sale online as he is preparing for the arrival of his twice daughters in summer and upgrading to a 4WD to fit the whole family in.